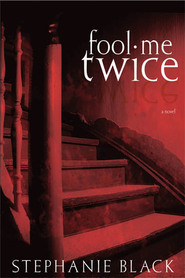 Fool Me Twice is my all-time favorite of Stephanie Black suspense thriller. Played For A Fool is a sequel, taking place 3 years after the first. You don't HAVE to read Fool Me Twice first, but I highly recommend it. Where Fool Me Twice kept us guessing as to who the master-mind was through most of the book, in Played for a Fool, we (the readers) know right up front who the crazies are. This time, it’s a race against time. Can the characters figure it out before someone ends up dead? Let’s just say it was a fun ride. I was continuously surprised by the twisted cleverness of the one pulling the strings. I devoured this book in one day. I liked way Megan, the main character, has grown and changed in those years. My favorite character was Bryce, ex-con trying to be a better person. At first, I didn’t like him so much. I thought he was just a loser. But as the book went on, I saw more sides of him and really came to appreciate his challenge. Contrasting him with Noah was almost a case-study in the damaging effects of anger and bitterness. There were just a few places where I wanted more characterization than was delivered, but not enough to take off points. Some of the characters are LDS (Mormon) but other than mentioning a temple wedding, there really was no religion in the book. What people will do for money...This book is fantastic. Stephanie is a master at this genre. I had not read FOOL ME TWICE, and I think it would have helped me in the beginning when I first started reading, but Stephanie does a fantastic job of catching up the reader. Seriously, the one book I hadn't read of hers! :) Once I had everyone where they needed to be in my head, the story took off. I loved the twist of knowing who the bad guy was and his "reasoning" of why he does what he does. Creep city! I also enjoyed the POV switches. Bravo to Stephanie, again, for doing that so well, as she always does. Poor Megan, though, poor Megan. The twists in this book are awesome, and once you think the calm has come, look out! 5 out of 5 stars. Did you hear me screaming from my house, because WOW!! Don't make any plans until you are done reading, because you won't be able to stop. With its heart-pounding suspense, you won't be able to turn the pages fast enough. The first book, Fool Me Twice, introduces the reader to the storyline. Played for a Fool picks up a few years later. I read the previous book about seven years ago and remembered bits and pieces, but it took me awhile to refresh my memory. If possible, I would suggest reading Fool Me Twice first, so that the setting, situation, and characters are fresh in mind. Once I got my bearings, I was completely engrossed in this story. Megan's twin sister is in prison and Megan is moving on with her life, now engaged to a great guy, Trevor. Megan begins receiving hate mail and having minor crimes committed against her, all in a way that tries to prove she's crazy and a bad person. I can't imagine living in that kind of suspense, always looking over my shoulder, but Megan manages well and takes it all in stride--for a time. She's a very likable character and tries hard to provide for and support herself. I like Trevor and his family and when events start happening, my heart went out to Megan for their lack of initial trust, but really...it started to become difficult to know whom to trust and whom not to. I do love a good, clean romance, but romance took the back burner in this story. I still really loved it! The interesting twist with this story is that the reader knows who the bad guy is, but the main characters don't. Although the reader knows, it's still quite suspenseful because the motive is missing--why the revenge? Why the dangerous mischief? I was on the edge of my seat, waiting to find the answers and to see the story play out. I only wish I would've brushed up on Book 1 first. Content: no language; mild violence (non-graphic); very mild romance; mild religious elements (two or three very brief mentions of religious things pertaining to the LDS faith). Clean! Intense suspense and twists in the plot keep you glued to the pages until the very end! SO. LOVED. IT! I cannot believe how quickly all that Megan has worked for comes unraveled...fun to read about...wouldn't ever want it to happen to me. I love the title--such a perfect fit for the story! I had a chance to work with Stephanie a few months back--she is a super nice person and a FANTASTIC author! You will be absolutely mesmerized by it! You won't want to put this suspenseful book down! This book is way suspenseful! It's about Megan, she's a young woman who lives in the town of Britteridge. She let her twin sister, Kristen, talk her into helping her kidnap a young woman. Megan ended up saving the young woman's life, but there are many people that just won't let it go. Now Kristen is in prison and Megan is trying to move on with her life. But someone has decided that Megan must pay for what she did and they are set on making her life miserable. Can Megan figure out who is after her before it's too late? I remember reading Fool Me Twice, the book that precedes this one, but I can't remember all the details and that was kind of bugging me the whole time I was reading this one. I'll have to see if I can re-read it! This book can stand alone and make perfect sense, the author did a great job making sure of that. The plot is super suspenseful. It's one of those books where you want to scream at the person to not go into that room! I love the way that the author made it so the reader knows what's going on before the characters do. I thought that the characters were really well written. I liked Megan and there's enough other characters that you are able to see the events through that you really get a good picture of who everyone is and what's going on. This is one of those books that you won't want to put down, it's really amazing! This suspense-thriller captivated me. Megan O’Connor has put the tragic past behind her after visiting her twin sister in prison—the same sister who tried to kill her when she foiled her kidnapping plot 3 years ago. But when sinister ruses start happening to her, it becomes painfully clear that someone hasn’t forgotten the past…or forgiven Megan for the part she played in it. I couldn’t put this book down. The villain was a complete mastermind who kept me in awe with their brilliant tricks and plots. I really loved how twisted the plot became as I turned each page. 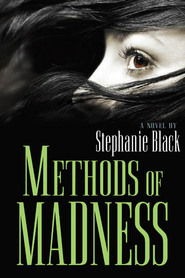 This isn’t my normal genre I enjoy, but I was fascinated by Stephanie Black’s writing. The characters had layers of depth that made them come to life in my mind. I loved the hero and heroine, but the villains and side characters were just as well done. ***I received a complimentary copy of this book in exchange for my honest and fair review, and I highly recommend it. This one’s a winner.